When your mother said you should start your day with a good breakfast, she was wrong! At least partially. 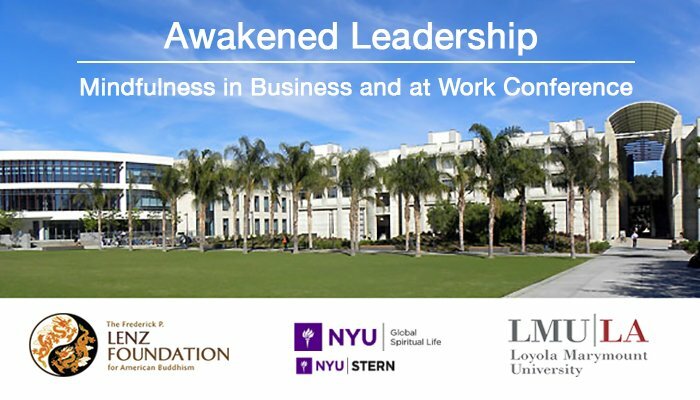 Last week’s Awakened Leadership: Mindfulness in Business and at Work conference was all about how to achieve high performance and productivity while reducing stress in the workplace. The conference was generously sponsored by the Lenz Foundation, NYU and LMU in Los Angeles. The speakers included industry luminaries like Jack Kornfield, Fleet Maull, Susan Skjei, Sharon Salzberg, Rich Fernandez, Dawa Tarchin Phillips and others. I had the pleasure to present our Diamond Mind training “Mindfulness 2.0 – How to Rock Productivity and Performance”, sharing a number of pragmatic mindfulness strategies that we implemented with our clients and their success stories. I talked about how to reach and sustain your Zone of Brilliance on a daily basis (thus the name Diamond Mind). If done correctly, mindfulness for you as an individual means reduced stress, increased wellbeing, greater focus, clarity, accelerated learning and fulfillment. For HR, it means more engagement, higher productivity and quality of work, innovation and achieving more with less. Since I was one of the presenters, I unfortunately didn’t have a chance to catch all of the workshops. However, I did have an opportunity to attend the wonderful sessions by Dawa Tarchin Phillips, Rich Fernandez and Mark Higbie. Lots of wisdom was packed in the three-day event! All experts agreed – a productive, stress-free and successful day starts with a good Mindfulness practice. I think that even if you had an overprotective Jewish mother like mine, she would approve! To learn more about Mindfulness and how it can help you to achieve your professional and business goals, get in touch via our Contact Form.